Hi! I want to start off by giving my Dad an early birthday shout out! He celebrates his 52nd birthday on Thursday. 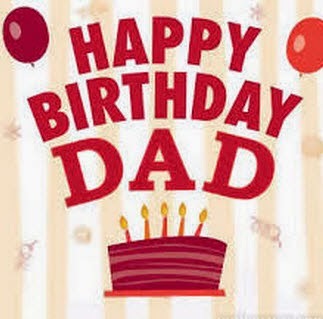 I hope it’s a great one Dad! Love you! My second shout out is for America! 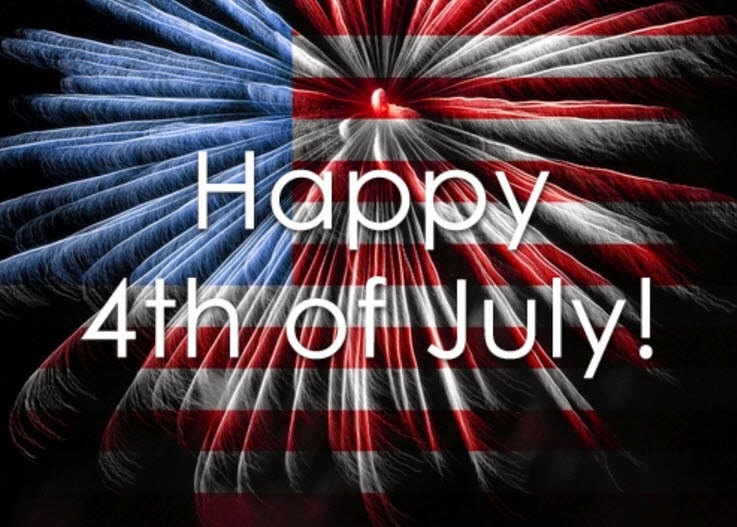 I hope everyone has a safe and fun fourth of July. As always, thanks to the men and women past, present and future who have fought to protect our freedom and independence. I went to a party this weekend where they played American-themed music and had fireworks and even though it was a silly party it reminded me that there are a ton of places in this world where people wouldn’t be allowed to have a lazy Sunday with their friends, listening to music. It’s important to remember the small things. 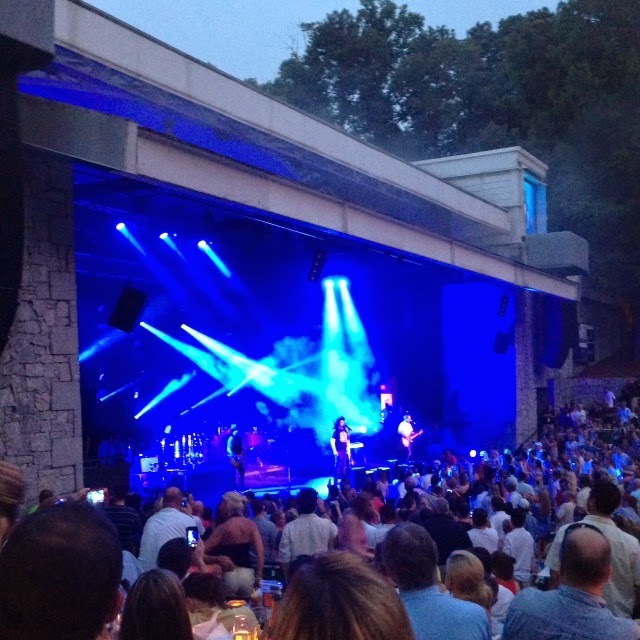 I was in Atlanta last weekend until Monday to see the Counting Crows so that’s why there was no post last week. 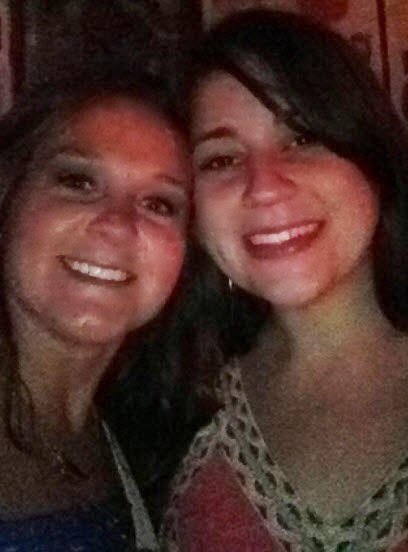 Had a blast with friends! 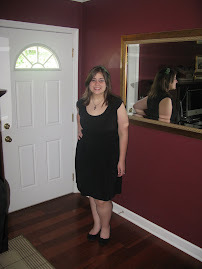 Before I went, I weighed and was down .2 pounds from the week before. It wasn’t much but honestly, since I had a bad weekend before that, I was pleased with that result. 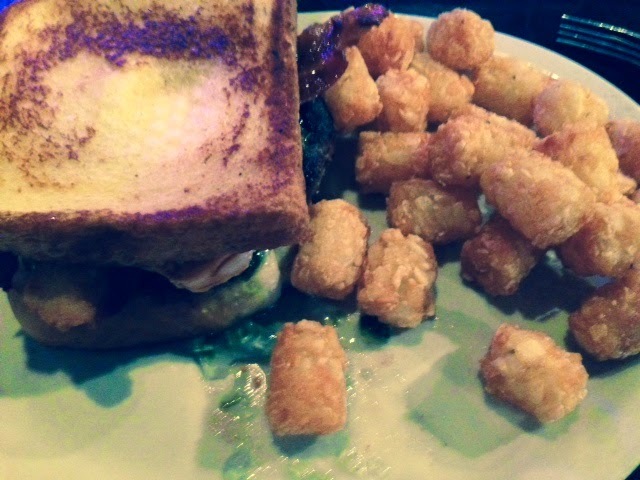 I ate terribly (as you can see from the picture of the burger and tots from the Vortex in Atlanta) over the weekend but got back on track on Tuesday. I was a picture of perfection all week and then once again, the weekend got the better of me. I am in a total rut. I exercised 6 times last week and was perfect on my diet and then ate too much on the weekend and I know I’ll be punished for that. At this point in my weight loss, my body is accepting nothing less than perfection and it’s really getting to me. I feel like I’m starving and the weight isn’t coming off unless I’m perfect all seven days of the week so I’m frustrated. I feel huge right now. 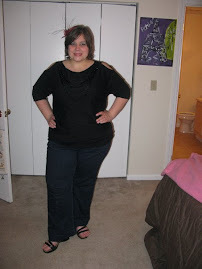 I’m very self-conscious and worry constantly about gaining too much weight back. I’m back on track today and will do my best to be perfect all week, including the weekend but Independence Day is this weekend and I’m going to Chattanooga Sunday to visit my Grandmother and family and I know it will be very difficult. I wish there was a permanent answer but there isn’t and it’s frustrating honestly. I love to enjoy life and I do that with food and drink so it’s a constant struggle. As always, I in no way want to give up but as I’m sure you all know, it ain’t easy. In other news, I wanted to share a couple food tips for you. The first thing is a snack. 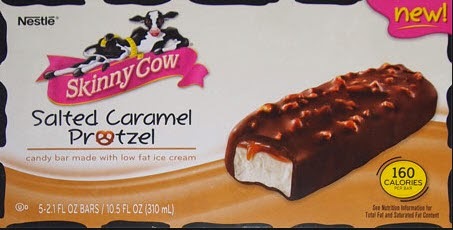 I’m a big fan of Skinny Cow. Not everyone is as obsessed with dessert as I am…specifically chocolate but if you are a fan of sweets, I highly recommend products from Skinny Cow. They are normal portions and tasty alternatives to more caloric frozen treats. They have candy too. This particular one reminds me of a frozen Snickers bar which was a weakness of mine in high school. It’s creamy and crunchy and the salted caramel makes for a nice sweet/salty combination. It’s pretty yummy! I know in the past that I’ve recommended going meatless sometimes. Trust me, I love meat too but I’ve discovered in the past few years that one meal without meat won’t kill you. In fact, it could open your mind to more flavors and it can definitely save you some calories. I’ve been counting calories again with the Lose It app so I’m always looking for ways to eat as much as possible for as little calories as possible. Also, I’m always on the run with little time to cook so it’s nice to be able to stop in somewhere. 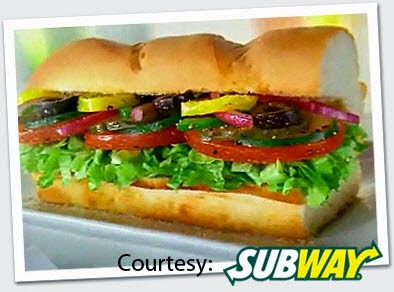 Subway has a veggie sandwich. Some of you can probably be satisfied with a six inch but when I get the foot long veggie, it only costs me 520 calories. This may be more than you want to spend on lunch so you could have it for dinner or split it into two meals. For me, I like to eat it for lunch and then eat a smaller meal for dinner. Of course, you won’t want to put mayo on it. My sandwich has American Cheese, olives, cucumbers, onions and brown mustard. I put mine on Italian because it has the least calories. To me, since most of the diet stuff is a mental battle, when you get a foot long sandwich, you feel like you’re really eating and not depriving yourself. Of course, there are some of you out there who hate veggies so you may not like it but I still recommend giving it a try…you guys need to be eating vegetables anyway. They are good for you! Hi All! I hope everyone had a nice weekend and for those who could, I hope you enjoyed Father’s Day. I know that I had a great time this weekend giving my Dad a record player and allowing him to listen to some of his old favorites. It was a nice little piece of nostalgia. I hope you continue to enjoy it, Dad! 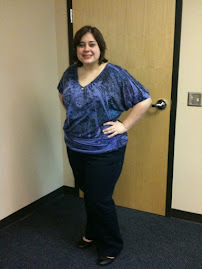 When I weighed at the beginning of the weekend I was down 1.8 pounds! So, I am definitely on the right track with the lose it app. I went a bit over Saturday night and definitely ate way too much yesterday so as usual, the weekends are my weakness. I am doing well so far today and plan to continue that through the week. I am going to Atlanta this weekend for a concert so if I know me, I certainly won’t be perfect but hopefully I won’t inflict too much damage. I really like the app a lot and I think I’m going to stick with it awhile. I wanted to give a correction from last week’s post as an FYI. Thanks to my Aunt for pointing it out. 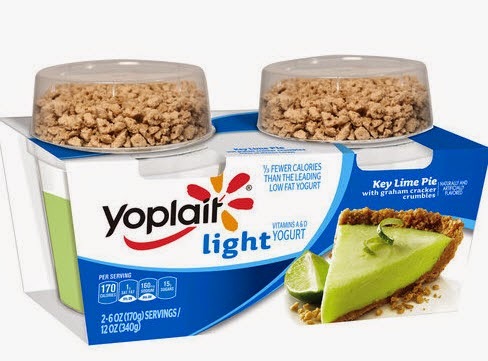 I posted that I’m loving the new Key Lime flavored yogurt with granola and that it’s only 100 calories a cup. Well the picture I posted said it was 170 calories. I posted the wrong picture. I’ve actually been eating the same version in a smaller size that is only 100 calories so just make sure to pay attention to the nutrition facts. She also told me about a lot of other yummy sounding flavors so I’ll definitely keep that in mind the next time I go yogurt shopping. I wanted to tell y’all about a new snack. I saw this idea on Pinterest and then my mom made it happen. It’s pretty simple. All you do is take fresh raspberries and stuff them with one chocolate chip in the middle. It’s simple but fairly decadent for a snack that’s not bad nutrition wise. Obviously, the berries are good for you and the chocolate chips we were eating were Ghirardelli brand and only 70 calories for 32 of them. So, if you think about it, you’re getting a lot of bites for not that many calories. 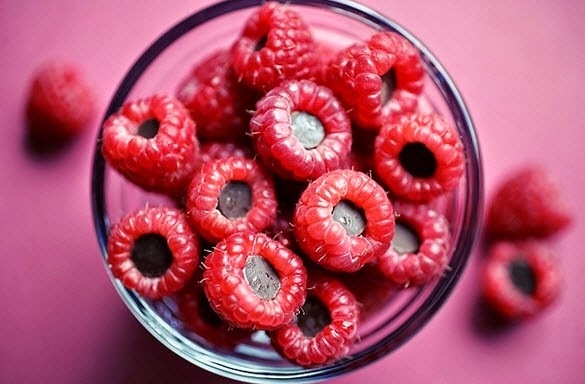 I’d give it a shot if you like raspberries and chocolate. I know that advertising food with preservatives isn’t the “in” thing right now and I certainly don’t disagree that natural ingredients are better but for me, right now, I’m working from 8-5 during the day and 6-9 at night. I’m working out at lunch so there is virtually no time for me to cook during the week, so sometimes, I eat the easy stuff. 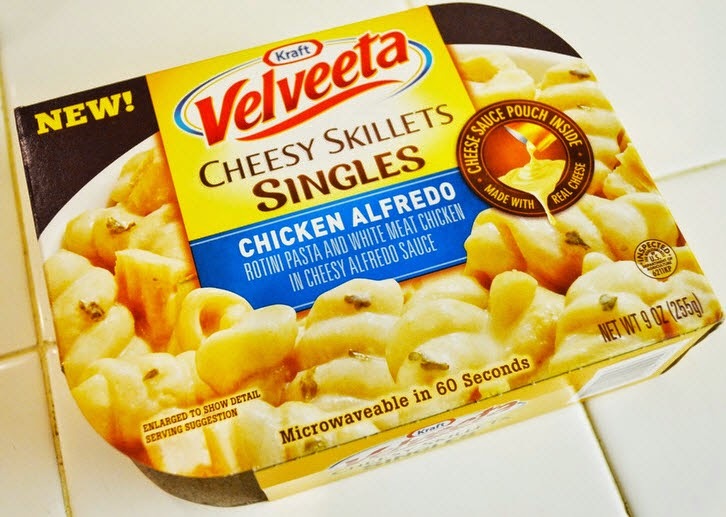 Velveeta, in addition to having the cute little cups of low fat shells and cheese, has something called Velveeta Cheesy Skillets Singles. I got the Chicken Alfredo flavor and it was pretty good and only 290 calories. I get so tired of frozen meals and while this still has that pre-packaged feel it is something a little different. 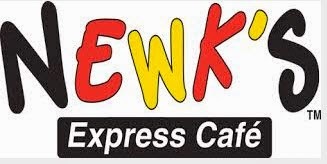 I wanted to give Newk’s a little shout out. Honestly, Newk’s doesn’t have too much they can be proud of in terms of nutrition. They have a nice nutrition calculator on their website but the truth is, there’s not much on their menu that is figure friendly. Well, this week I discovered that their Grilled Vegetable soup is only 180 calories for 16 oz. That’s a pound of soup y’all. Also, it’s delicious. You can have that and a pack of their little breadsticks which are about 50 calories a pack and be stuffed when you leave. Now soup isn’t something you want to eat every meal because even though it’s low in calories, it’s packed with sodium. It’s good know though that at least a few days a week, Newk’s serves something that will fill you up and not make you feel guilty. For Mother’s Day, I promised my mom a nice lunch and a Mom/Daughter day out and we cashed that in on Saturday and had a great time. We went to the Birmingham Botanical Gardens which was really nice. We ate at a place called Seasons 52 at The Summit in Birmingham. It’s a nice place with fresh ingredients and their big thing is that everything on the menu is under 475 calories so we didn’t feel too guilty for eating there. It was quite tasty. We did some shopping at the Summit then watched the movie Chef which was really cute. Overall, it was a great day. Hi everyone! I hope everyone is having a decent Monday so far. I had a busy weekend but a good one. I have been working with Habitat for Humanity a few weeks in a row so Saturday I got up early and worked all day painting doors in the heat. I have so much more respect for people that do manual labor outside. It is no joke. I am done with Habitat for a while but it’s a great organization and I’m glad to have had the experience. After Habitat on Saturday, I went up to Birmingham to see Sister Hazel with some friends and had a great time. Yesterday, I got up early again and went to Atlanta with Jordan to see Evita. The play was a little slow but I always love spending time with Jordan. So, it was an exhausting weekend that made for a sleepy Monday but it was worth it. As I mentioned last week, I started using the Lose It app. I first heard about this app from my Aunt Brenda who has had a great amount of success using it. It’s really easy to use and I’m loving it. I was at 100% Monday-Friday. I’d say I was at about 90% for my calories on Saturday and I only say that because I ate dinner at a place where the nutrition facts weren’t easy to obtain so I did some guessing. I might have eaten a bit too much but I didn’t drink and with all the manual labor from Habitat, I’d say if I did go over, it wasn’t by much. On Sunday, I was only at about 50-60% because of my poor traveling and Sunday dinner eating habits. I counted calories all day and then low balled my Mom’s cooking too much for Sunday dinner. Eating Sunday dinner with my family has always been one of my weaknesses. If you’ve had my Mom’s cooking, you understand. It’s something I need to work on. However, the positive from yesterday was that when we stopped at a gas station I had picked up some White Cheddar popcorn and a candy bar because I had given up for the day but talked myself out of it and went back and got some Special K Cracker Chips and a Fiber One bar. So, that was big for me. The day wasn’t a complete loss. My goal is to do better next Sunday. I weighed Sunday morning and I was down 2.6 pounds from last week and that is definitely the direction I want to be going in. I was happy with that and I hope I can produce similar results this weekend. I have had zero time to cook lately. I have been going constantly on the weekends and I’m working from 8am to 9pm Monday-Thursday right now so I have had to buy things that I can take with me. I spend way too much money eating $10-$15 meals here and there so I have been trying to eat more lunches at work and make sure I have easy access to portable snacks that I can take anywhere with me. I eat a lot of string cheese and pre-packaged fruit but I have also started getting a couple other new snacks. Cereal is pretty bad for you but sometimes it’s nice to have bite size pieces. 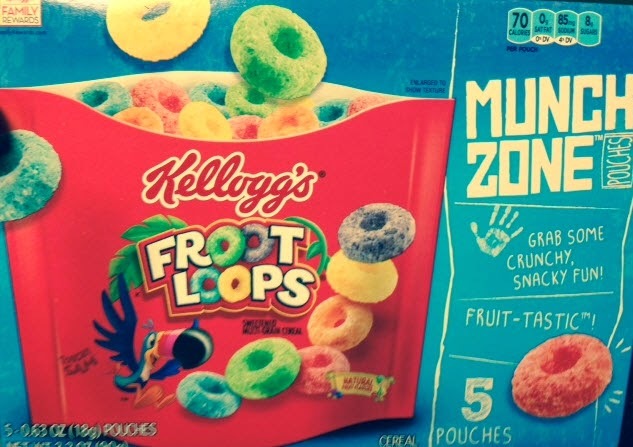 Froot Loops now come in tiny pouches that are only 70 calories per pack. The pouch is small but there are several bites so it lasts a little longer. Also, I’m not the biggest fan of yogurt. It’s mostly a texture thing. When I go get frozen yogurt, I pack it with sprinkles and granola because I like to crunch it. I found these packs of Key Lime yogurt that have added graham cracker pieces. I’ve seen these types of yogurt before but sometimes they can be a little high in fat and calories. This one isn’t too bad. The whole pack, including the graham crackers, is 100 calories. Make sure that when you look for snacks that you pay attention to the serving sizes and the nutrition facts. Sometimes a pack that looks small enough for one has 2-3 servings. Also, I’d been getting these packs of hummus that come with pretzels. I was accidentally missing that the calories were separated…so they had facts for the hummus and facts for the pretzels on top of each other so I was eating something I thought was 120 calories but in reality it was 380. I should have known better. It was a lot of hummus and way too good to be that low in calories. Live and learn I suppose. I am doing well with this app for now and I made some really strong adjustments last week. Obviously, it’s important to have big goals and dreams in your life but those goals are merely glorified fantasies without short term goals. You cannot achieve long term success without accomplishing short term goals. I can’t stress this enough. Ultimately, from this very moment, I’d like to lose 40 pounds. 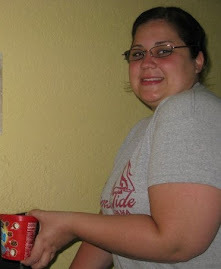 In the beginning, I needed to lose over 100 (which I did and have mostly kept it off, I just never reached my goal weight…about 40 more to go). If all I saw was the big number, I may have never gotten there. I set monthly, weekly and daily goals because I don’t want to be overwhelmed. Also, if you scratch a small goal off your list, you feel good about yourself and it motivates you to tackle another goal. This isn’t just weight related. If you set financial goals or life goals in general, you must set up action plans that include smaller goals. I need to learn this in some areas myself. I am set up for another busy weekend. My mom and I are going to celebrate Mother’s Day on Saturday. I know it’s late but we planned a day where she and I could hang out and I could treat her to lunch for once so I’m looking forward to that. 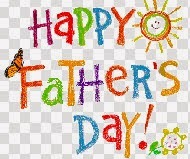 Then, Sunday is Father’s Day so I will get the opportunity to celebrate my Dad! Sometimes, it’s easy to take our parents for granted but I’ve learned this year that having both of my parents and three grandparents at the age of 30 is an enormous blessing that I no longer take lightly. I hope both my parents know how important they are to me! I look forward to hanging out with them some this weekend. Hope you all have a great week! I know I will! There’s new music from Colbie Caillat out! Bye! Hi y’all! I know it’s been awhile since I posted. 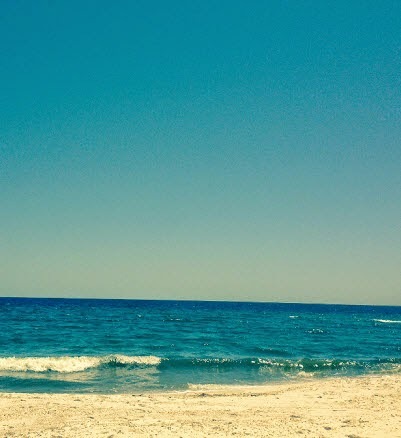 Things are starting to settle down for the summer. I’m still working two jobs from 8am to 9pm Monday-Thursday but believe it or not, the pace has slowed down quite a bit. I manage to put on around 8 pounds in May with my birthday and the beach so I am feeling pretty discouraged. I tried a plan of sorts on my own but I am just not great at dieting unless I am counting. 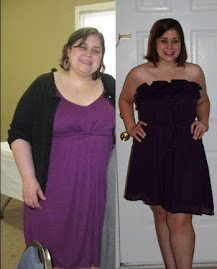 I have downloaded the app Lose It in lieu of rejoining Weight Watchers to see how it goes. I am holding off on rejoining Weight Watchers just for monetary reasons. The Lose It app is cool because you tell it what you weigh, what you want to weigh and when you want to weigh that and it sets a calorie budget for you. Each day, you go in and tell it what you have eaten and it removes the calories for you. It has a ton of food info stored already from restaurants and other products. You can also scan a barcode right in it. The only thing I haven’t quite figured out yet is there a section called “net calories” that I’m not sure what to make of. Hopefully this app will help me get back on track. I will keep you up to date. 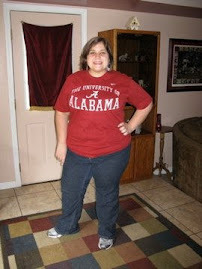 I want to lose 20 or so pounds before football season. I just have to quit allowing myself exceptions. Wish me luck y’all…I’ve been struggling. I won’t give up. I posted some pictures from the past couple of weeks below. I’ve done a lot! I also posted some videos on Facebook that you can see if we are friends. Because I’m working so much it’s hard for me to cook but hopefully I will have some recipes and tips for you next week. I’ve also gotten lazier about exercising. I’m still working out 5-6 days a week but not as hard as I was so it’s time to shape up! Let me know if anyone has any advice. Good luck to every one else that's struggling with their goals too! Roll Tide to our softball team too!